Most of of us could do with a rugged external hard drive – a sturdy and high-functioning portable hard drive – especially those who prone to accidents like dropping their external hard drive. I am regularly asked to try and recover data on an external hard drive that has been dropped, and to be honest, most times the data is not easy to recover. 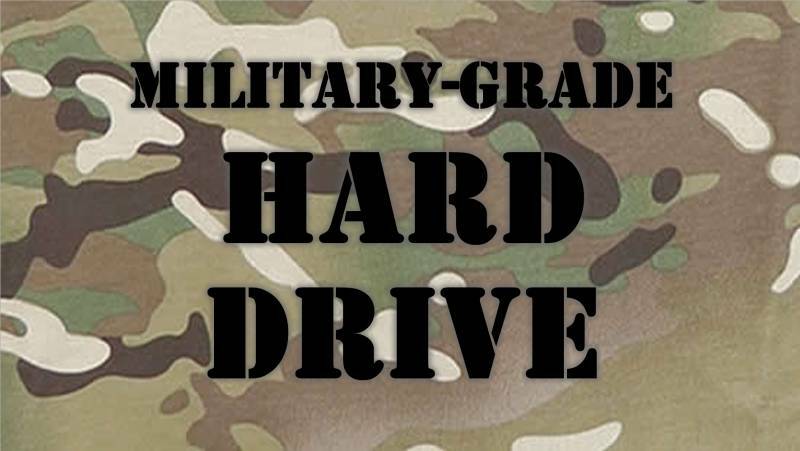 A rugged external hard drive is one solution – a military grade external hard drive. If you drop it, then the data would safer than a standard external hard drive. I really like the idea of these drives – even though I could reduce number of data recovery jobs I do. Just like conventional external hard drives, it is powered by USB, is very portable, and is competitively priced. The Transcend StoreJet 25M3 is a portable hard drive built to be more resistant to shock than most. It’s aided by a tough rubberised jacket and internal damper frame. This drive has a dark-grey silicone jacket that Transcend calls Iron Gray, with a bright green end cap and green trim line. The One Touch Auto-Backup Button is an unusual addition to this drive. This is a blue-ringed push button on the end cap that’s designed to simplify the backing up of data to the drive. To work, it requires you to first install the included Transcend Elite software, which can undertake various tasks such as on-demand and scheduled backups. To fully protect the data stored in your drive, it is encased in a durable and vibration-absorbing silicone outer shell. When you drop the drive, the anti-shock casing helps prevents the drive from damage. This drive has a High-Speed USB 3.0 interface, which provides transfer speeds up to 10 times faster than USB 2.0. StoreJet 25M3 features a sophisticated three-stage shock protection system that meets U.S. Military’s drop test standards. Crypto, to encrypt and decrypt chosen files and folders. Just don’t leave the USB cable in during transit because it increases the stress on the USB socket. At less than £50 the Transcend StoreJet 25M3 is very good value for money. It costs just 5p per gigabyte for a decently resilient portable drive. It’s well made and provides an additional level of security if you do drop it. Because how many of us can say they never drop or knock a hard drive? Available from Amazon (https://amzn.to/23Iw2Ak) with a discount, so the price is currently £48.99 & FREE Delivery in the UK.